Belgium. The land of beer, chocolate, waffles, and french fries. Elaine and I managed to hit 3 of the 4 in that list. Sadly, no frites were to be had. To make up for it, I had waffles whenever possible, and Elaine explored the chocolate shops – and even took a chocolate tour, as described in a previous blog post. 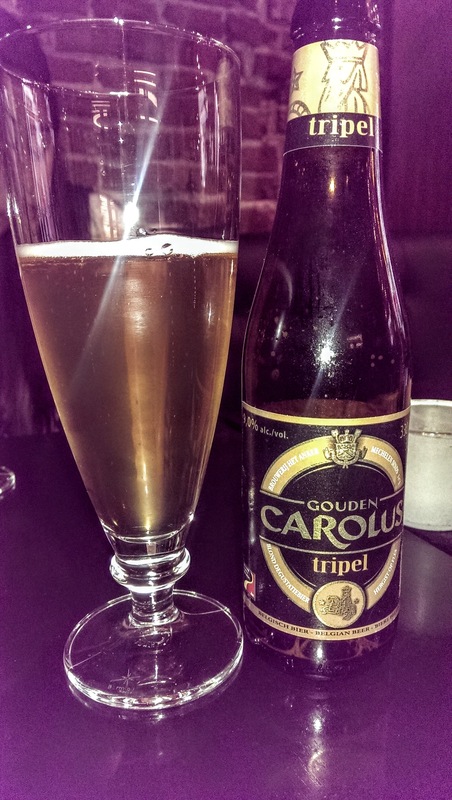 While she was enjoying her chocolate tour, I went on a beer tasting tour in Brussels. 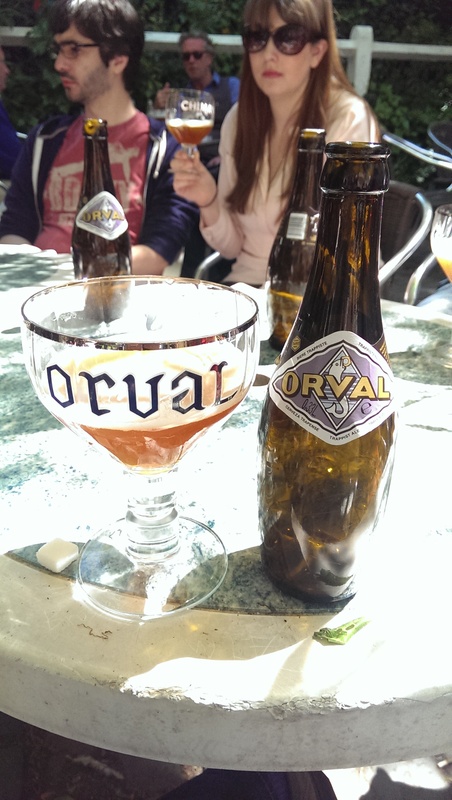 The tasting tour was four hours and our group would try eight different Belgian beers. 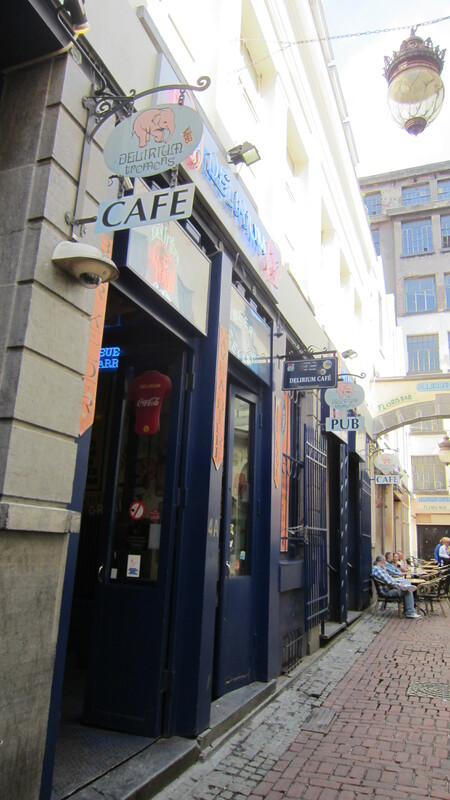 Our first stop was at a quaint little bar in the old city center. Don’t ask me the name, because I can’t remember. What I do remember is how delightful the first beer was. 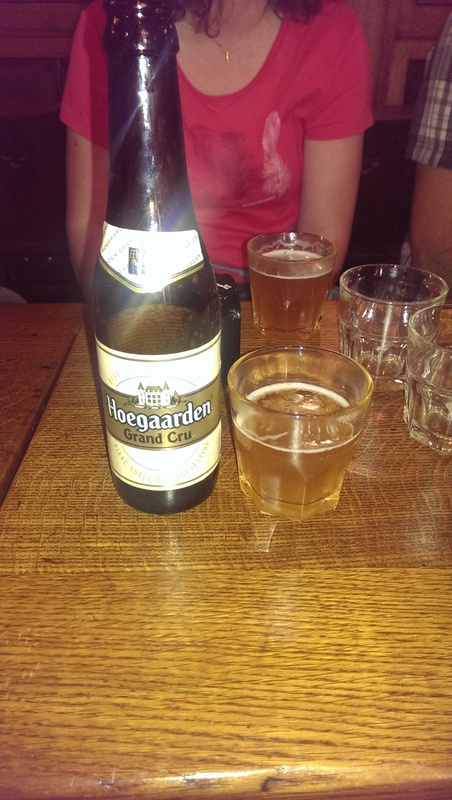 We started with a Trappist beer. 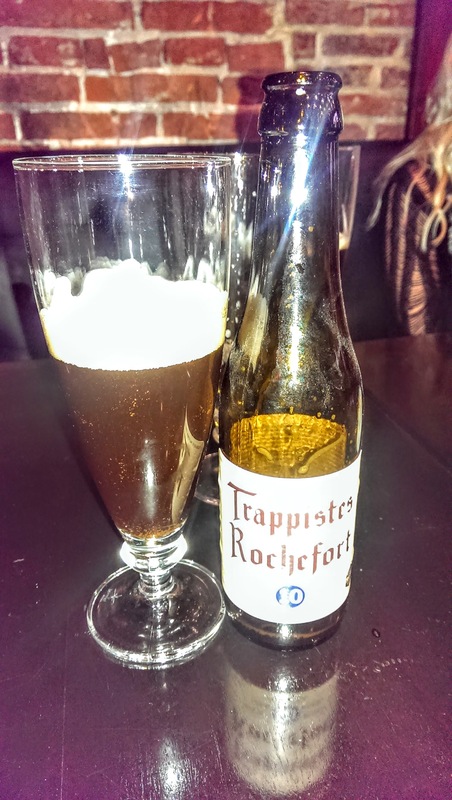 What is a Trappist beer? They are beers brewed in monasteries – there are only 11 in the world which brew beer: six in Belgium, two in the Netherlands and one each in Austria, Italy and United States. Our guide explained to us that the monasteries in Belgium sell their products to sustain themselves and also provide funds for charity. Belgians will argue it’s their civic duty to drink Trappist beers “for the good of the nation”. 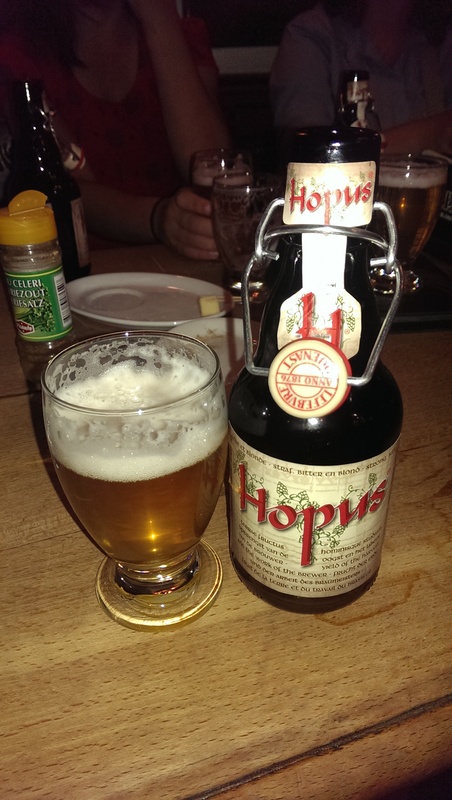 A vast majority of Belgian beers are sweet in flavor, and low in bitterness. They don’t typically brew IPA style beers. 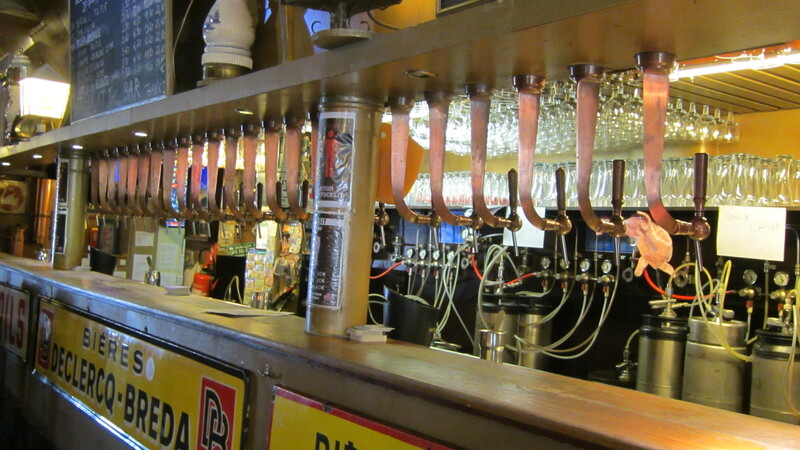 There are thousands of Belgian beers, but they don’t consider the vast selection microbrews. It’s just the regular breweries producing tons of products. 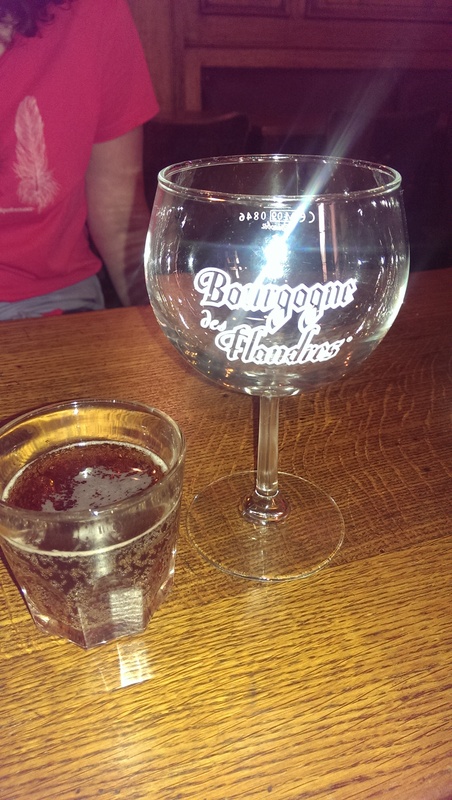 Each beer has its own matching glass, not for marketing purposes, but to produce the taste the brewer intends. I kind of call BS on this, but, what do I know? All of the beers we tried were between 8-10% alcohol by volume. What I found really interesting was the expiration dates for the beers. They’re typically good for 4-5 years! They supposedly get better over time, like wine, but who wants to wait that long for deliciousness? The last one on that list is quite famous. It’s widely considered the best beer in the world, and only available to the public in limited quantities. The Belgian government actually buys some to stockpile. Unfortunately, there aren’t enough new monks joining the monastery to keep it going. When the current monks pass on, it is feared the recipe and the beer, as it is now, will be lost. The Belgian government considers this beer to be an extremely important part of their heritage. I felt really lucky to have the opportunity to try it and learn the backstory. All in all the tour was worth it. 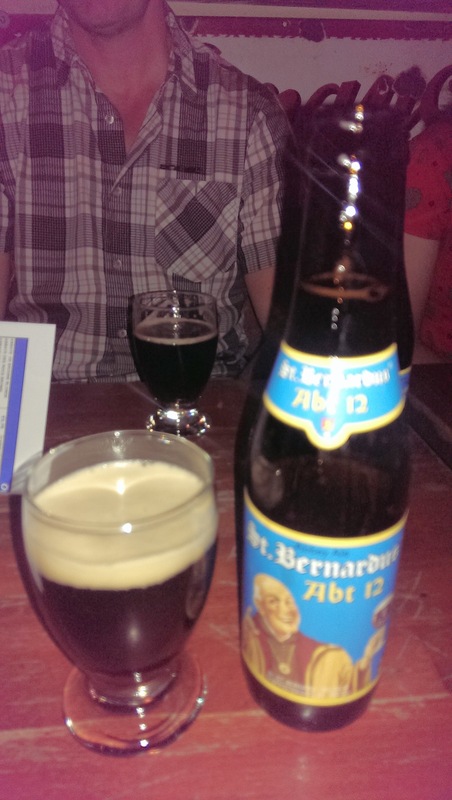 I got to try some great beers in some really special bars/pubs. 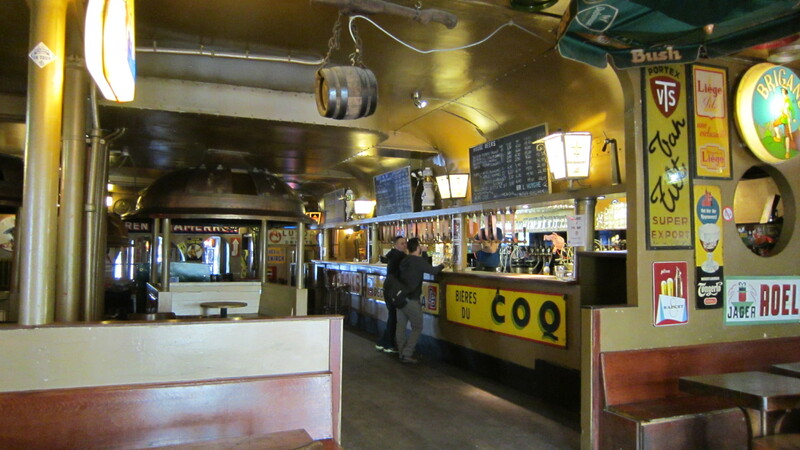 One of the most notable ones was the Delirium bar – opened by the actual brewing company. They have 1000s beers available. The beer menu was a magazine about 3/4 of an inch thick. There were 9 people on our tour and we all had a great time. I would definitely recommend it, and do it again in a heartbeat.